Eytan Ruppin is a professor at the Department of Computer Science and director of the Center for Bioinformatics and Computational Biology at the Institute for Advanced Computer Studies, University of Maryland. He studied Medicine at the Sackler School of Medicine, Tel-Aviv University, where he later obtained a Master’s degree in Computer Sciences. 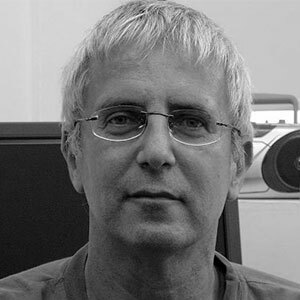 After, he got his PhD in Computer Sciences also at Tel-Aviv University under the supervision of Prof. Yehezkel Yeshurun. Following his graduation, he served as a professor of Computer Science and Medicine at the same University for about 20 years. In 2014, he joined the University of Maryland as a Computer Science professor and director of its center for bioinformatics and computational biology (CBCB). His research aims to develop and harness computational systems biology approaches for the genomic analysis and genome scale metabolic modelling of cancer. His group collaborates with several experimental cancer labs studying computational approaches to jointly gain a network-level integrative view of the studied systems, and predict and test novel drug targets and biomarkers to treat cancer more selectively and effectively. Furthermore, Prof. Ruppin has won several prices, such as the Alon Fellowship, a grant for Stroke modelling research (twice), or a grant for Computational Language Acquisition Research. Moreover, he is involved in the scientific community by being a referee for several journals, conferences, and grants. He is also on the editorial board of Artificial Intelligence in Medicine; and supervises several master and PhD students.